Title Register - Who Owns my Property? Home→Eviction→Title Register – Who Owns my Property? Have you ever wondered who owns your property, you or the mortgage company? Or does someone else have a say in what happens when you want to sell the property? I do not pretend to be an expert on Property and the Law. What I do know is that checking the Title Register of your property may reveal some things about your property that you did not know about or had forgotten. Most people believe that they and the mortgage company own the property. 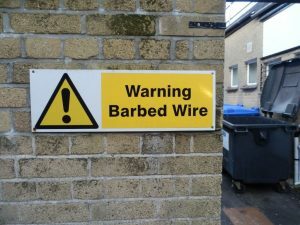 However there may be others that have a hold over your property. This title is dealt with by Land Registry, Durham Office. The following extract contains information taken from the register of the above title number. A full copy of the register of accompanies this document and you should read that in order to be sure that these brief details are complete. Neither this extract nor the full copy is an ‘ Official Copy’ of the register. An official copy of the register is admissible in evidence in a court to the same extent as the original. A person is entitled to be indemnified by the registrar if he suffers loss by reason of a mistake in an official copy. This extract shows information current on 1 AUG 2012 at 17:01:13 and so does not take account of any application made after that time even if pending in the Land Registry when this extract was issued. This is a copy of the register of the title number set out immediately below, showing the entries in the register on 1 AUG 2012 at 17:01:13. This copy does not take account of any application made after that time even if still pending in the Land Registry when this copy was issued. This copy is not an ‘Official Copy’ of the register. An official copy of the register is admissible in evidence in a court to the same extent as the original. A person is entitled to be indemnified by the registrar if he suffers loss by reason of a mistake in an official copy. If you want to obtain an official copy, the Land Registry web site explains how to do this. This register describes the land and estate comprised in the title. (17.05.1989) The Freehold land shown edged with red on the plan of the above Title filed at the Registry and being 1 ADDRESS, (POST CODE). The mines and minerals are excepted. The land has the benefit of the rights granted by but is subject to the rights reserved by the Conveyance dated 27 August 1986 referred to in the Charges Register. This register specifies the class of title and identifies the owner. It contains any entries that affect the right of disposal. (14.08.2006) The price stated to have been paid on 19 July 2006 was £205,000. (14.08.2006) The Transfer to the proprietor contains a covenant to observe and perform the covenants referred to in the Charges Register and of indemnity in respect thereof. (20.01.2011) RESTRICTION: No disposition of the registered estate by the proprietor of the registered estate is to be registered without a certificate signed by NAME of ADDRESS or by their Conveyancer\that the provisions of clause 11 of an Option Agreement dated 13 January 2011 have been complied with. This register contains any charges and other matters that affect the land. A Conveyance of the land in this title dated 27 August 1986 made between (1) The District Council of Wear Valley and (2) Ronald Paul Dobson and Maria Dobson contains restrictive covenants.NOTE: Original filed. (14.08.2006) REGISTERED CHARGE dated 19 July 2006. (14.08.2006) Proprietor: NORTHERN ROCK (ASSET MANAGEMENT) PLC (Co.Regn. No. 123456) of Northern Rock House, Gosforth, Newcastle upon Tyne NE3 4PL. (14.08.2006) The proprietor of the Charge dated 19 July 2006 referred to above is under an obligation to make further advances. These advances will have priority to the extent afforded by section 49(3) Land Registration Act 2002. 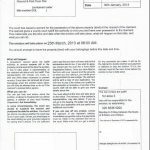 (20.01.2011) Option to purchase in favour of NAME contained in a Option Agreement dated 13 January 2011 made between NAME and NAME which will subsist until 14 May 2017.NOTE: Copy filed. By checking The Title register of your property you will be able to see who has a charge over your property. This is important as they can have a say in what happens to the property in the future. If someone or a company has a charge on your property, they may also have the power to force a sale of the property! So you could end up being evicted from your property. At the time of writing the cost for checking your Title Register £3.00. 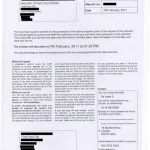 Notice of Eviction – Is This Fraud?